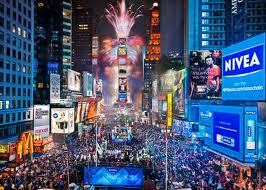 It’s the final countdown of 2011: Times Square ball descending, friends and family toasting, noisemakers tooting, couples kissing. 365 days of triumphs and heartache have led to this moment of reflection, where you vow that that 2012 will be different. Because, this year, you resolve to…….Get in shape? Do better in school? Be fiscally responsible? Resolutions…..most of us make them, but few of us stick to them. According to a 2007 survey by FranklinCovey, only 35% of people keep their resolutions through the end of January, and 4 out of 5 give up on them eventually. So how do you become the 20% who actually sticks to their resolutions? Resolutions are goals. And, if you have ever taken a business or strategic planning class, you know that effective goals need to be SMART: Specific, Measurable, Attainable, Realistic, and Timely. Specific goals give you direction and sound less overwhelming. A goal to “get in shape” may seem insurmountable because it involves so many things, like eating healthy, avoiding temptation, and exercising regularly. Plus, what does “in shape” really mean? Having vague goals can set you up for failure, because you have no way of knowing how much progress you are making or when you have met your goal. How do you know when you achieve success if you can’t measure it? Measurable goals allow you to map out what you need to do. For instance, if you know you want to pay off $500 of debt, you can then make a monthly payment plan that allows you to meet that goal. Measuring your progress helps you stay motivated and lets you know when you have accomplished your goal. What’s attainable differs for everyone, but one way to set yourself up for failure is to set goals that are unattainable for ANYONE. Losing 30 lbs in a month is unattainable and just plain unhealthy; meeting with a nutritionist to design a meal plan is much more reasonable (find out more about the nutrition service offered at UNC Counseling and Wellness here). One way to make goals more attainable is to focus on what YOU can control. You have less control over your GPA and more control over your class attendance or your participation in office hours. I can’t tell you the number of times I resolved to give up coffee. Seems easy enough: it’s specific and measurable, and millions of non-coffee-drinkers let me know that it’s attainable. Being realistic is about knowing yourself, and if you wake up every morning motivated by the promise of a steaming cup of joe, and 3 out of your top 5 favorite edibles include coffee (coffee, coffee ice cream, and chocolate covered espresso beans), then giving up coffee is probably not a realistic goal. No matter how specific, measurable, or attainable it may be, if it is not realistic for you, then why not focus on something that is? If you learn better from your peers, then attending a weekly study group maybe more realistic than going to office hours every week. If you like being outside, then walking or jogging 3x a week may be more realistic than going to the gym. Having a deadline motivates you to action and helps you stay on track. Last year, I resolved to start jogging and set a goal to run a 5k in under 30 minutes. But it wasn’t until I signed up for a 5k in December that I actually started working towards my goal. Setting mini-deadlines helps you meet long-term or ongoing goals. If you resolve to get at least a B in your Chemistry class, then set a goal to attend all office hours or group study sessions between now and the first exam. See how you do on that exam and then set another mini-goal. Making SMART resolutions vastly improves the chances that your resolutions will stick. You can also take advantage of websites like http://www.stickk.com/ where you can set achievable goals, enlist support from others, and set up incentives for yourself. No matter what your resolution this year, the good news is (according to the NYTimes) people who make resolutions are 10x as likely to change their behavior than non-resolvers with similar goals. Make it a SMART resolution, and you are well on your way to being in that 20% of resolvers who stick it out!